It’s only a couple stops to the Colosseum metro station from my hotel. 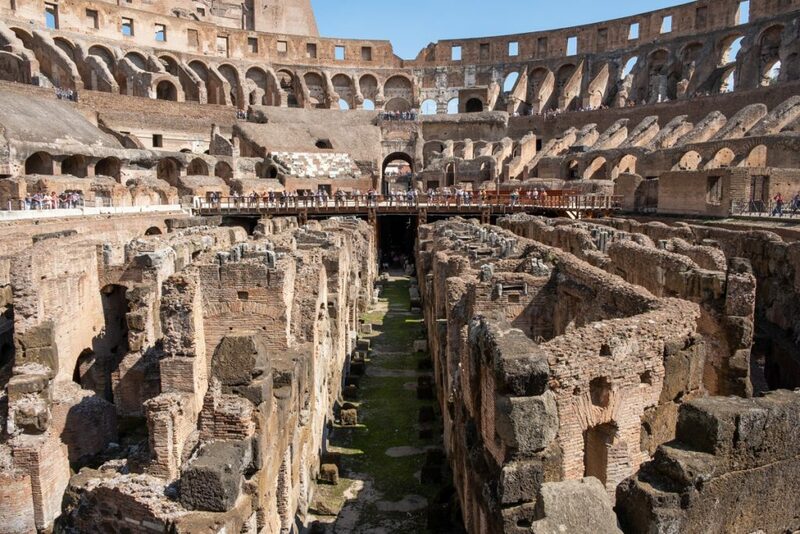 As you step out of the station the Colosseum is right there in front of you. I’m sure if you grow up with these Roman ruins all around you it is no big deal, but I was duly impressed. 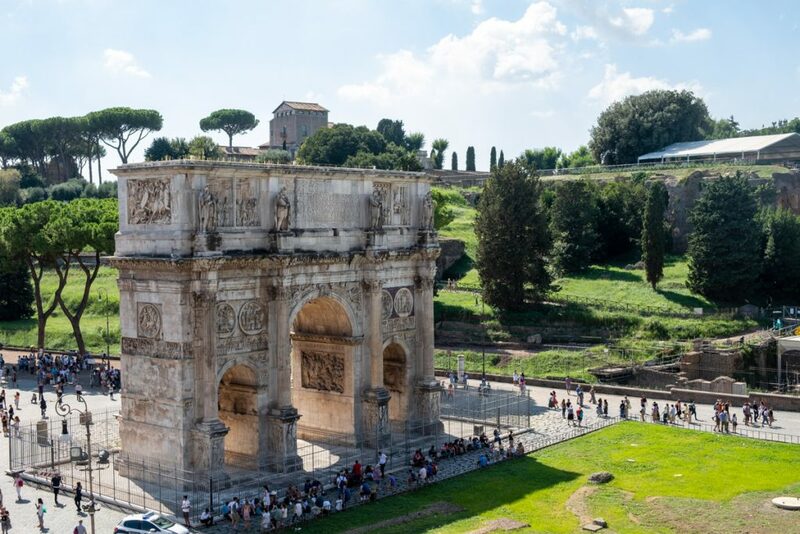 It is my final day in Rome and Italy and it’s time to visit the sights that brought me here in the first place – the Colosseum, Palantine Hill, and the Roman Forum. 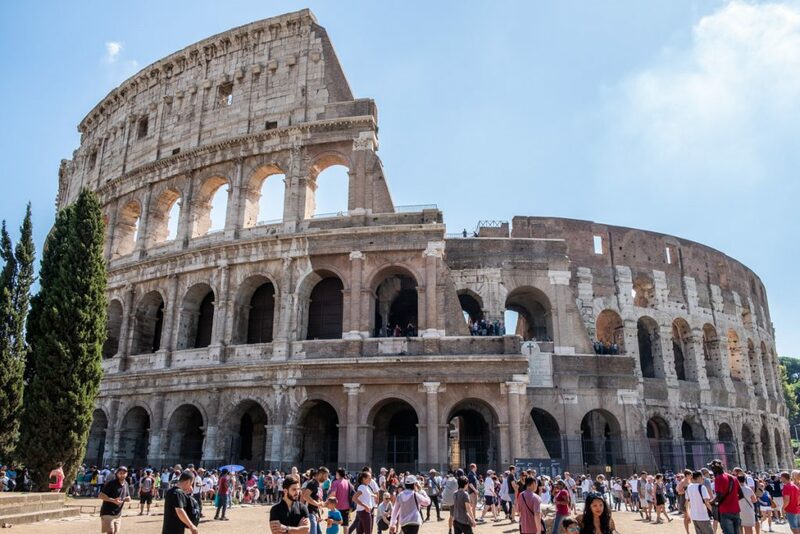 The lines for tickets were long at the Colosseum and the Forum ticket booths. 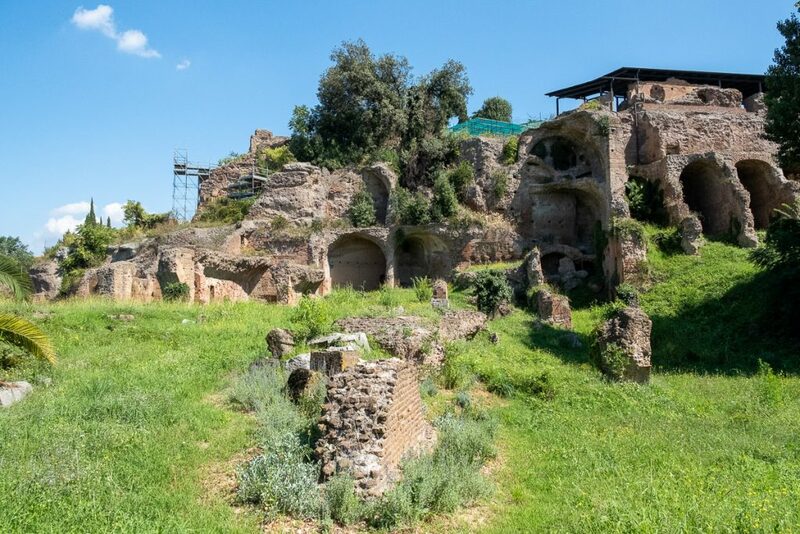 I remembered there was another entrance to the Palantine Hill a little farther away and went on a walk to find it. I found the somewhat nondescript entrance and it barely had a line. Jackpot. I bought the combo ticket and was inside in just a few minutes. 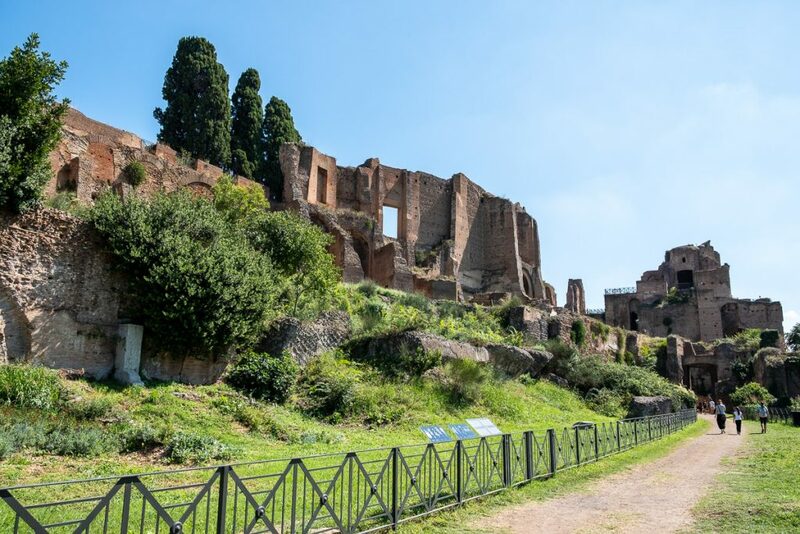 To my left was a path that leads to Palantine Hill, to my right the Forum. I headed left toward up the hill, figuring I could explore the area, then down to the forum, and finally exit out and see the Colosseum. I followed a path outlined by a somewhat vague map I was handed at the ticket counter. 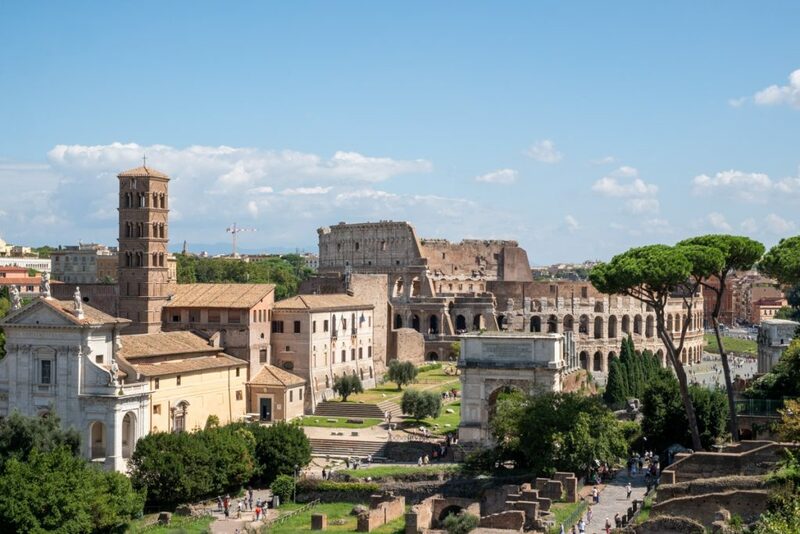 If you don’t remember you 8th grade history, Rome was built among and on seven hills. Palantine was the center hill and where the city was said to be founded. 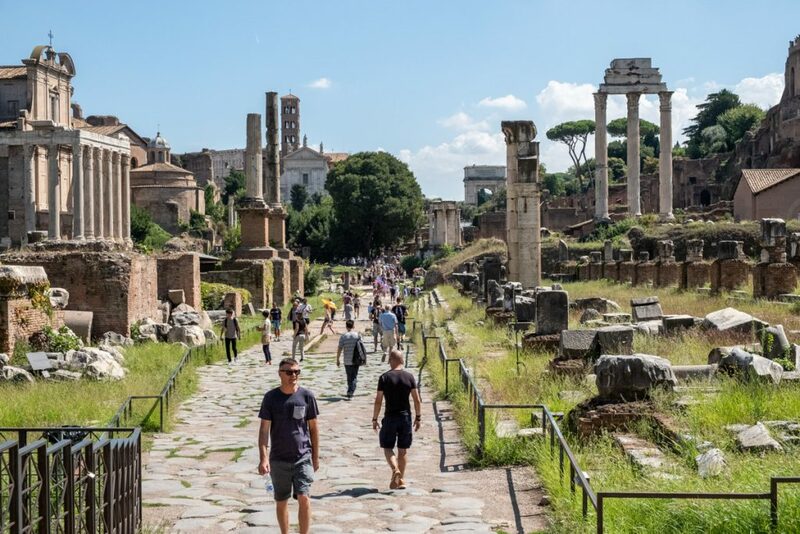 It became the home of Roman Emperors and the current archaeological site allows you to walk around the ruins of those palaces and buildings. The trail I followed actually brought me around the outside of the hill, looking up at the ruins as opposed to the top of the hill. Down the hill to my left I could see the remains of the Circus Maximus, home to the chariot races. I figured the trail might eventually lead me back around or up to the top, but the hill kept growing taller as the trail led me farther downhill. 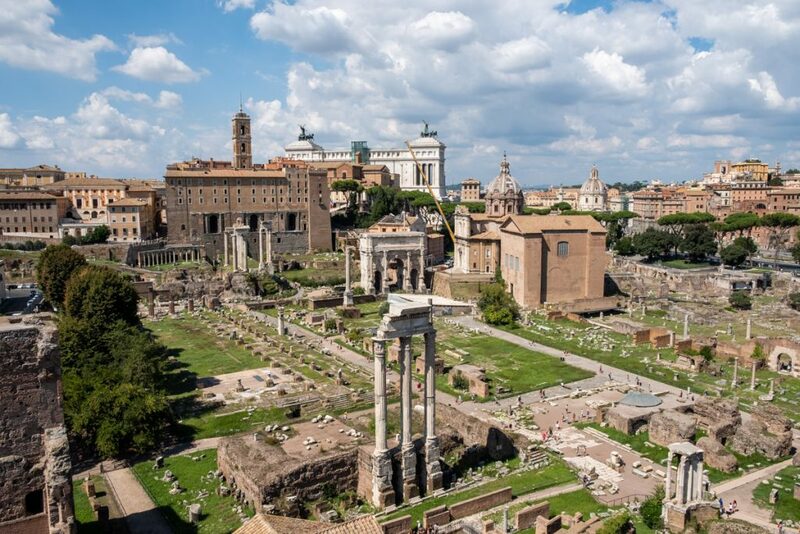 I actually ended up at the back entrance to the Roman Forum. I take a break from the roasting sun and fill my bottles with cold water, hiding for a several minutes in one of the few areas of shade. One thing that I’ve appreciated about Rome is the fountains scattered around the tourist sites that dispense cool, drinkable water. 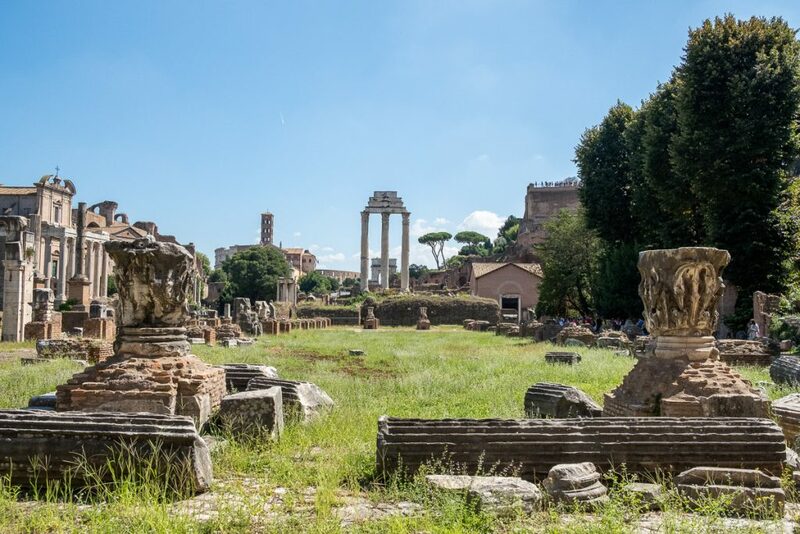 I roam around the ruins of the Forum for a little bit. I’m anxious to get up to the top of Palantine Hill and the overlook. I’m almost back to where I started, making a full loop around the hill, but the view from the top was well worth the effort. After checking out the views and some of the ruined palaces at the top of the hill, it was time for me to visit the Colosseum. There were no lines and I walked right in. I follow the signs up to the 1st floor where you are free to roam around on your own. 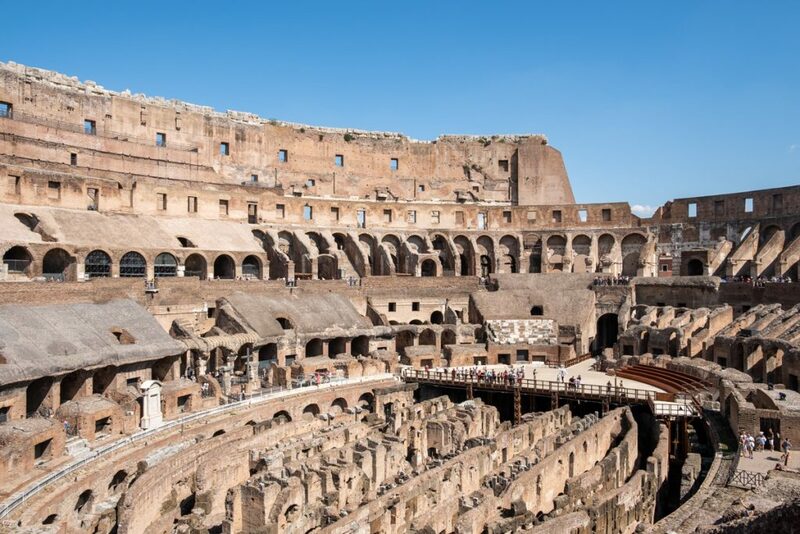 There is nothing to really tour, just enjoy the views and contemplate the grandness of this ancient stadium. You can pay for a special guided tour that takes you to the underground levels, which sounded like it might be pretty cool. 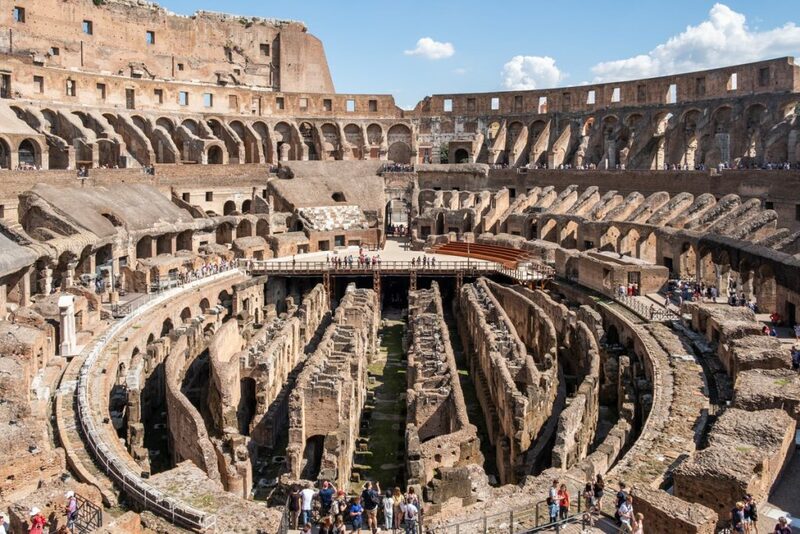 You would get to see where the gladiators prepared for their battles and where the animals were raised onto the Colosseum floor. With the day’s sightseeing over it was time for dinner and a cold beer. After being disappointed by my meals several nights in a row, I found a restaurant that had some good reviews on Trip Advisor and Google. 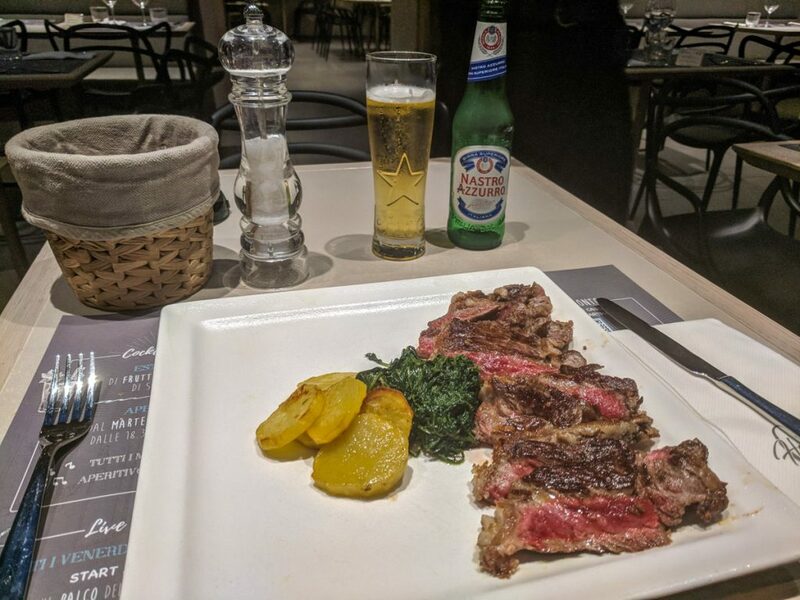 The restaurant was modern and looked good, but was empty inside, which gave me pause – I decided to give it a try. I should of went with my first instinct. 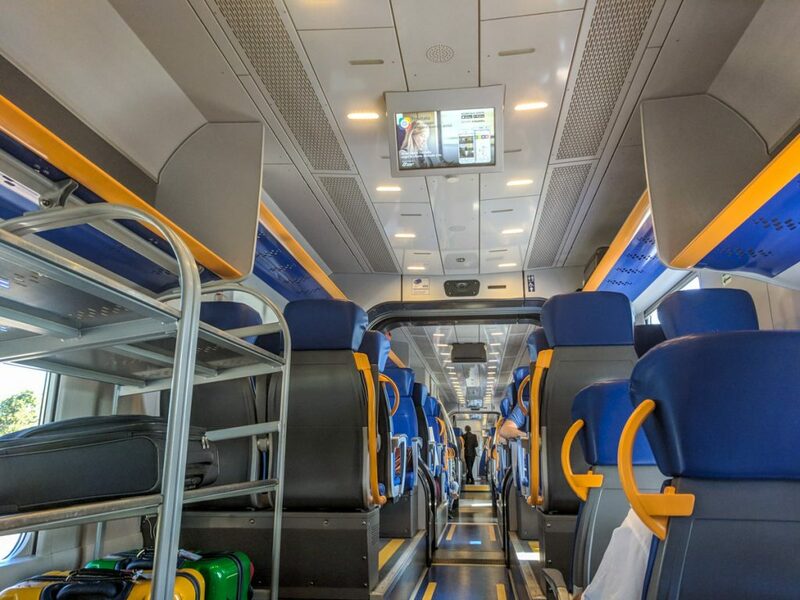 The next day I hopped the Leonardo Express train to the airport and caught my flight to Barcelona.